!! 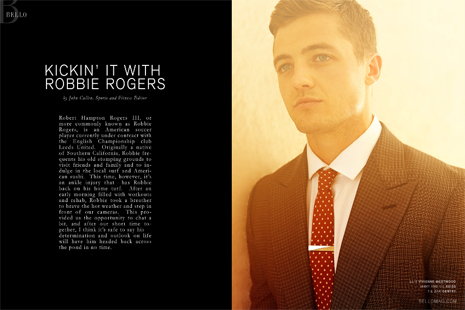 OMG, Out of the closet, into the limelight: Robbie Rogers’s ‘The Next Chapter’ !! You can read his statement in full after the jump, plus a couple of shots taken last summer for Bello Mag’s Summer Fashion Issue. OK, now that you’re Out and you’ve quit, when can we pencil you in for your naked gay mag centre-fold Miss Rogers? Does next Thursday sound good? 3pm? Super…see you then…ok…Thursday…good! 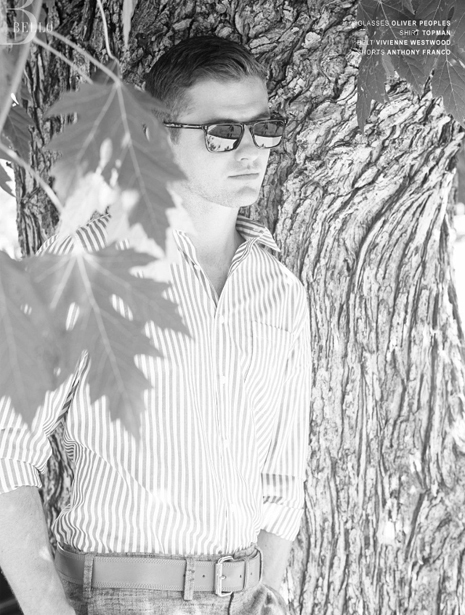 5 Comments on "OMG, Out of the closet, into the limelight: Robbie Rogers’s ‘The Next Chapter’"
We, does anyone else think Beyonce is overrated? It all starts with one brave person. Over the past few months we’ve seen a groundswell of American football players speaking up for gay rights, and even more athletes coming to the defense of those who raised their voices (e.g. Chris Kluwe). What we need now, is a groundswell of European and American soccer players, both active and retired, to stand in support of Mr. Roberts for finally having the fortitude to speak up and speak out. The issue of gay rights becomes all the more real when it hits close to home, or when we can put a name and a face with cause. I can’t help but feel an overwhelming sense of sadness that this wasn’t done WHILE he was playing. That being said, Soccer is a tough game and the US and the rest of the western hemisphere don’t seem open to open gay players on teams. There are a lot of ways to abuse someone on the pitch. I hope he passes on that naked photo spread. I am the first to admit that I would love to see him nekkid, but it changes everything about some people once they go there.